The Netflix series is the latest contribution to a recent horror renaissance. The Haunting of Hill House is a story about ruined childhoods. The 10-part Netflix series, adapted by Mike Flanagan from the Shirley Jackson novel of the same name, picks its way through the psychic detritus of a summer that the Crain family spent in an old haunted mansion—one possessed of such malignancy toward its inhabitants that it seems almost alive. 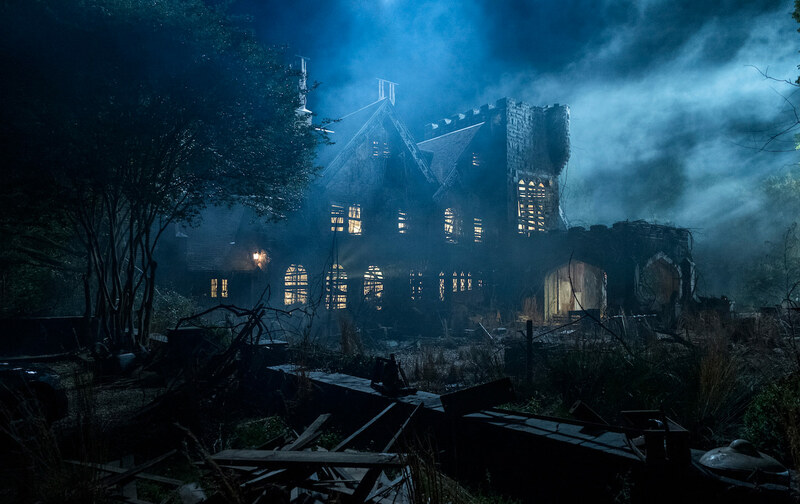 The Crains’ eight-week stay at Hill House ends with the suicide of the family matriarch, Olivia; the five children, frantically evacuated by their father in the middle of the night, do not witness it, and they are kept in the dark about how or why Olivia died. The show takes place decades later, after the siblings have grown up. The trauma of that earlier period fuels a stifled, wounded rage that has driven each one into a cocoon of isolation, which they’re forced to confront after the death of Nell, their youngest sister. Horror is enjoying a moment of relevance these days: Hill House is the latest in a series of films and TV shows acclaimed for their treatment of the painful, repressed things that happen to a lot of people—notably, themes of sexual assault and PTSD in 2015’s It Follows and the treatment of systemic racism in 2017’s Get Out. Unlike a lot of classic horror films, where the dialogue serves as the mortar between murder scenes and character traits indicate mainly who gets killed in what order, these stories allow their protagonists nuance and humanity. The horror comes from their private trauma, a force so inchoate and violent that it can only be represented by ghosts or murder cults. Hill House occasionally veers into melodrama, but at its best, the series is an examination of a family splintered by profound denial. It often takes more energy to see trauma than to ignore it, and in the series’ present day, the three oldest siblings—Shirley, Steven, and Theo—have run out of energy to recognize what happened. Although there are roughly a dozen ghosts per episode hidden in the gloomy corners of Hill House, the series’ tensest moments are in the present, when the family gathers the night before Nell’s funeral in the bilious-green parlor of Shirley’s funeral home. At one point, Nell’s broken-necked ghost appears in the back of the room, passively watching the prelude to a brutal family fight. Erin Schwartzis a New York–based writer and the co-editor of Natasha.